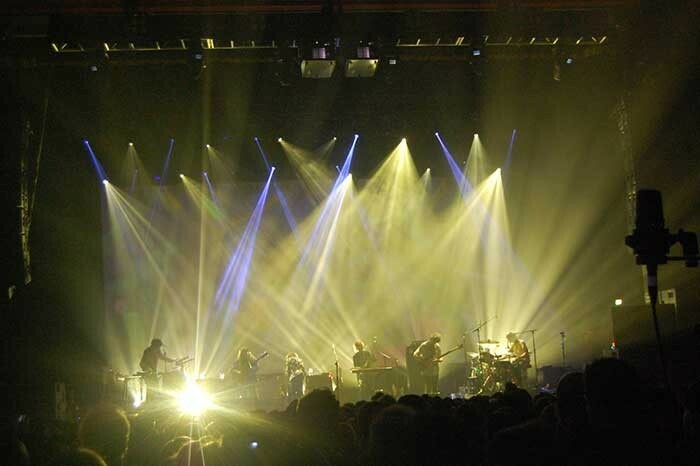 UK - Buckinghamshire rental company Siyan supplied a floor lighting package for the recent UK and European leg of a tour by American psychedelic rockers MGMT, who are promoting their eponymous third studio album, to complete an eye-catching lighting and visuals design by Ben Silverstein. Siyan’s Tom Grant explained that Ben’s spec did not originally contain Robe products, but as this is one of Siyan’s main moving light brands, he agreed to the suggested substitutions and use Robe for the first time. “It was a very positive experience all round and Ben was happy with the fixtures,” comments Tom, who saw him craft a high impact show from the floor rig with six Robe LEDWash 600s and eight MMX Spots at its core. 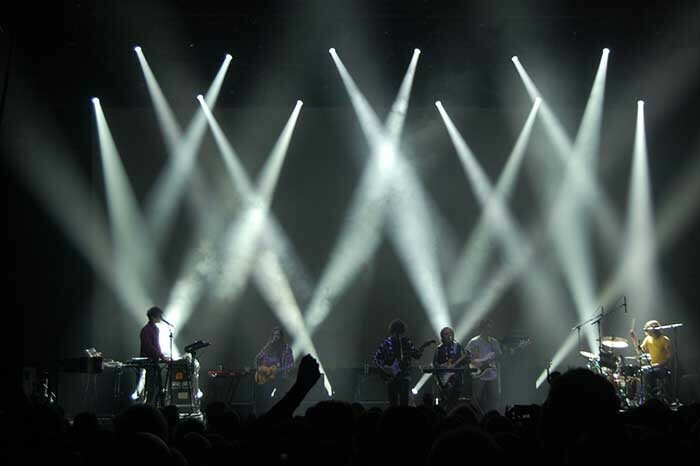 For the larger UK shows, Siyan boosted the overhead rig with additional fixtures including 20 more MMX Spots. The Robe units were a big hit with Ben because of their creative scope and also their light weight. It was a heavily back-lit show, so the power and punch of the LEDWash 600s was ideal, together with the rich palette of colours which was ideally suited to the moody, psychedelic style of the show. A twin 22k video projection system was also supplied to complete the visual element of the show, with content being a carefully sculpted mixology of eye-candy and impact. The MMXs easily punched through the projection, having a good presence even against the brightest content. Ben operated the lighting using a Hog4 console + Playback and Nano wings.